Here is a Display on loan from the NIA. 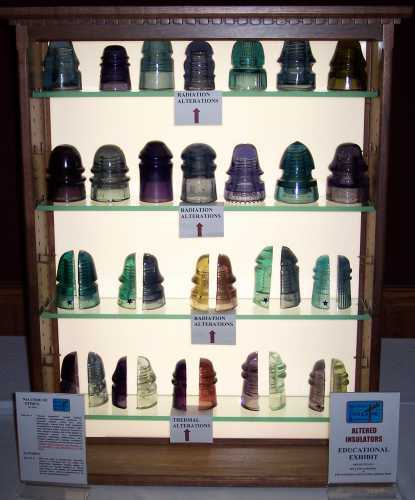 This is a very educational display for first hand introduction to irradiated and thermally altered insulators. Lighted cabinet provided by Dan Goodrich.